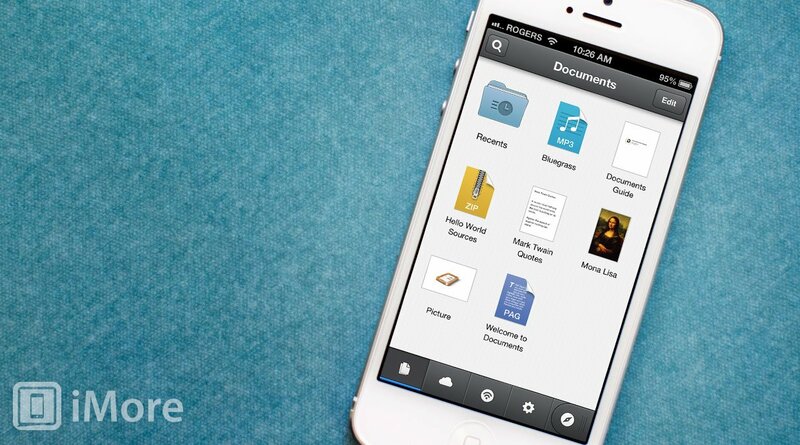 Documents by Readdle is now available for the iPhone. Now a universal app, Documents lets you read Office documents, annotate PDFs, edit text files, listen to music, look at photos, and more. Across the bottom of the screen, there are four sections, along with access to the built-in web browser. Documents stores all of your files, from music to PDFs, and you can move files from Documents to iCloud by tapping the “Edit” button and selecting which files to move. The Network section allows you to add and access different online storage options like Dropbox, Google Drive, and SkyDrive. It also allows you to access devices on your local network, which allows you to transfer files to and from Documents. Finally, the Settings tab gives you fine control over how you view and manage documents, as well as browser options. Speaking of the browser, it’s accessed by tapping the compass icon next to the Settings tab. You can use the browser to download files directly to Documents, and you can specify which folder they should be downloaded to. You can control the user agent of the browser in Settings. By default, it’s set to iPad Safari Mobile, but it can be changed to anything from Google Chrome and Firefox to Internet Explorer. Documents by Readdle is free, so if you're looking for an app that can put all of your documents in one place, go ahead and try it out.